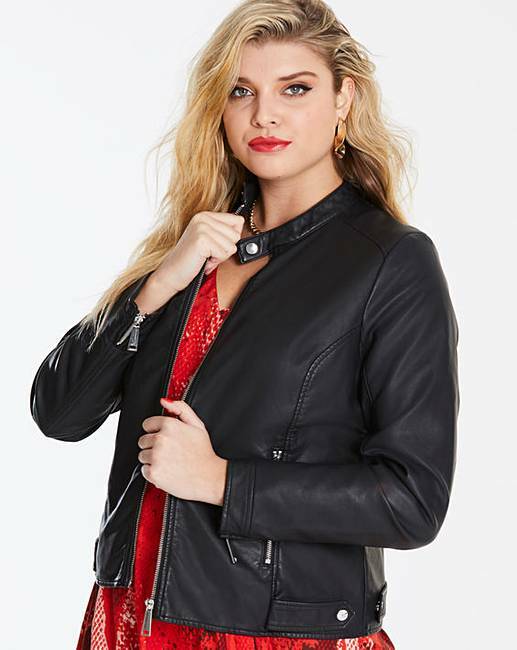 Tab Collar Faux Leather Biker Jacket is rated 4.2 out of 5 by 5. 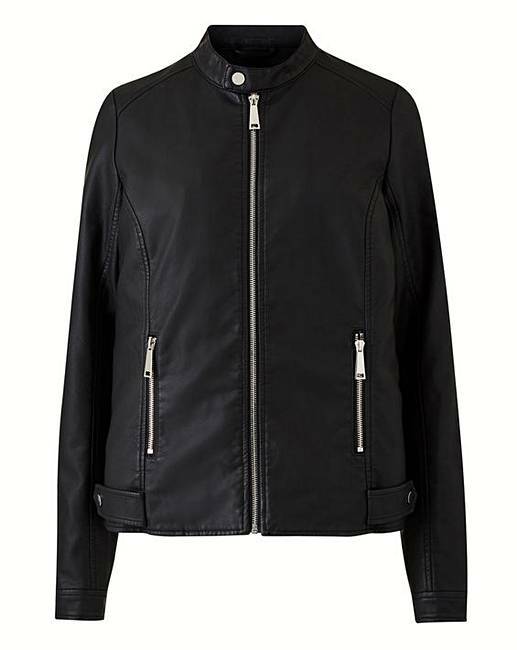 A wardrobe must-have, this seasons Tab Collar PU Biker Jacket is the staple piece you've been missing. Complete with matte Silver zips and trims, flattering seams to shape your figure, and a sophisticated Tab Collar fastening, this chic Jacket promises to bring edge and style to any outfit. Pair with Black Skinny Jeans and an Animal Print Shirt for the perfect look. Rated 4 out of 5 by Noggin from VETSATILITY Bought recently and its proved a good buy. I wear it for both casual and dressy occassions very pleased with my purchase. Rated 5 out of 5 by Popper10 from Lovely soft fabric After buying this as a treat to myself i couldnt be happier! So soft & the cut is really flattering.